Finn turns one in three days!!! His birthday is Cinco de Mayo, which honestly, I'm not that pumped about. But this first year, I'm choosing to embrace it. So there will be a big fiesta full of tacos, margaritas and a piñata! I've known for months that we would throwing this fiesta; yet, I have been so slow to do much planning & organizing. I typically have these grand ideas in my head, but I am a terrible executor. I can promise you that I will be putting together different elements of the party as guests begin to arrive. That's just how it goes. Every single time. But there's another reason I've been slow to plan things. This year I have tried to focus a bit on minimalism. I'm not trying to live a minimalistic life, but just be more intentional about the purchases I make, and the things that I keep in my home. I want everything to have a purpose and be making our lives more enjoyable. I want to be less of a consumer. And things like birthdays, tend to come with lots of consumption. It's just something that has been on my mind lately. And then I fell in love with some of Minted's decor items. I'm obsessed with all their beautiful paper products. A couple banners & signs will be just enough to make Finn's party feel festive! Plus, I can reuse the items in years to come or recycle them, which makes me feel better on the consumer end of things. I'm going to wait to share what I'm chosen for Finn's birthday... but let's talk about some of Minted's adorable themes! I'm seriously eyeing Campsite as well as the Hey Batter Batter. I may have to start talking with Liam about what kind of party he wants this summer! 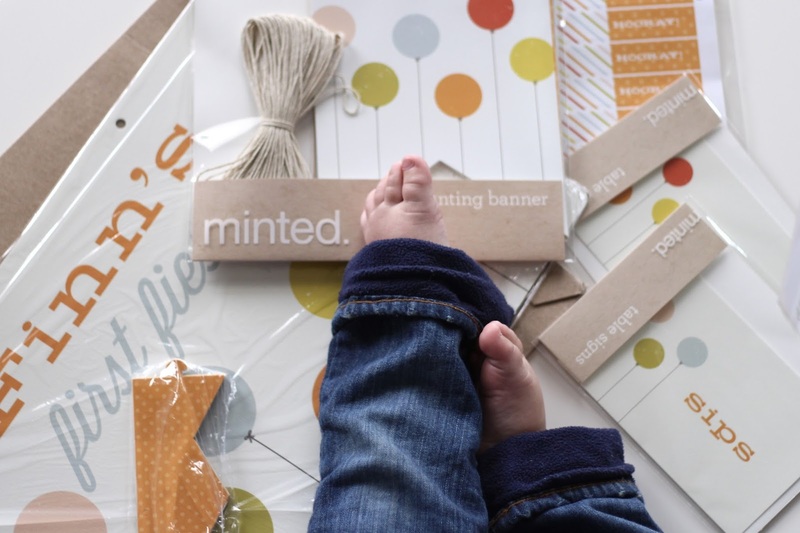 Now for the fun part, you all have a chance to win $150 to spend at Minted (open to US entrants 18 years or older only, sorry)!!! This may just be my most exciting giveaway yet. 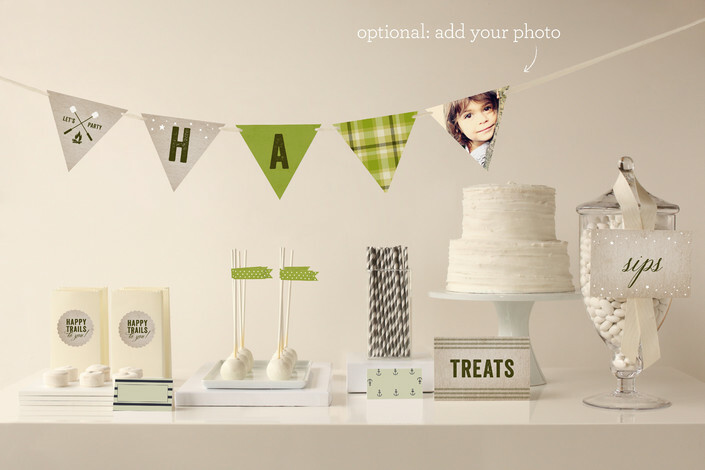 And before you start wondering what you'll spend your money on if no party planning is in your future, let's talk about Minted's art! 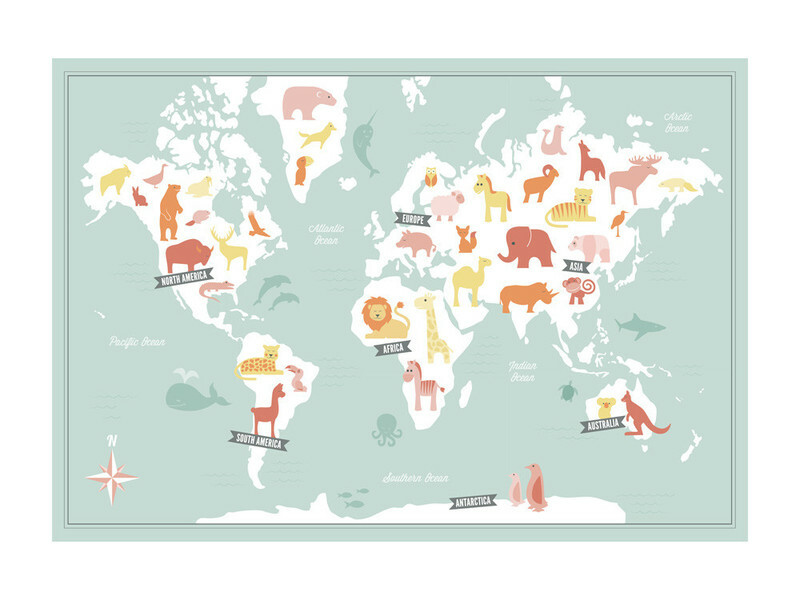 I'm seriously swooning over so new prints for the boys' bedrooms & playrooms. 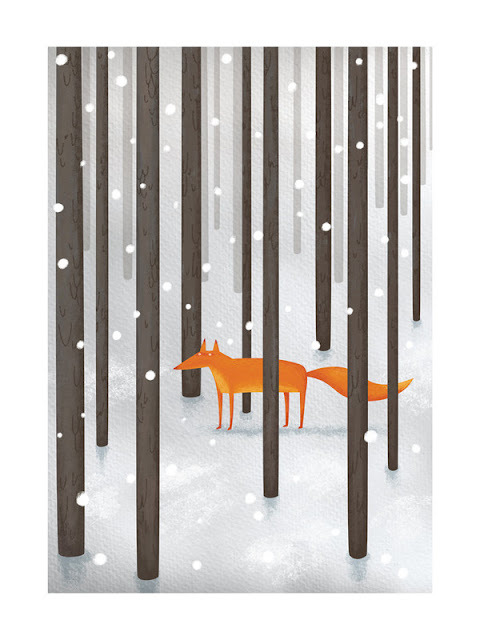 Three of my favorites are: the animal world map, the blue fish wish, and the fox in the snow. Here is the link to the giveaway again, in case you missed it above! It will run for a week, then once a winner is chosen they will be emailed. Good luck! While Minted provided me products free of charge, all thoughts & opinions are my own. Okay, those themes are amazing...and they make it so easy! Also the blue wish fish art is probably the cutest thing ever. I am dying to see your theme come to life!!! Also. Blue Wish Fish - possibly the cutest, sweetest thing ever. Oooo I can't wait to see what you chose. It's going to look wonderful. Hard to believe sweet Finn is almost one. Time goes by too quickly doesn't it? Minted is the best! 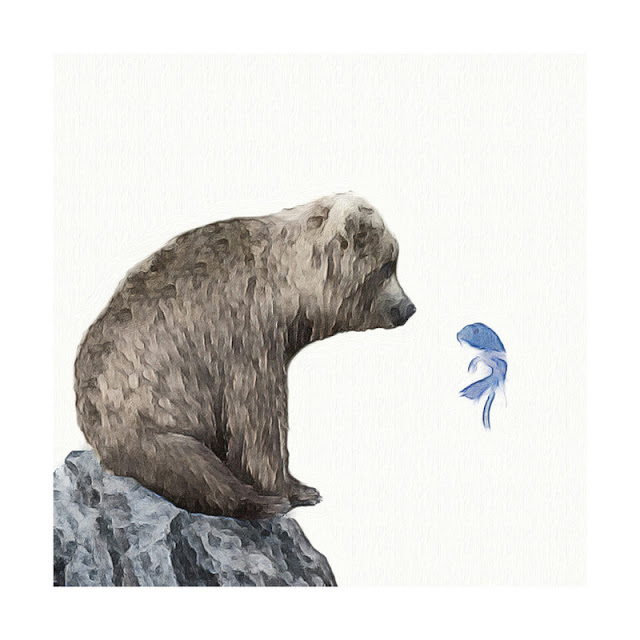 A little Minted art could def spruce up my boys' new rooms!!! I LOVE the fiesta theme! And actually can't believe he's going to be one already. Where has this year gone?! Can't wait to see the party come together! I just used Minted for BFF's baby shower invites and they were the greatest/cutest thing ever. Total minted fan. 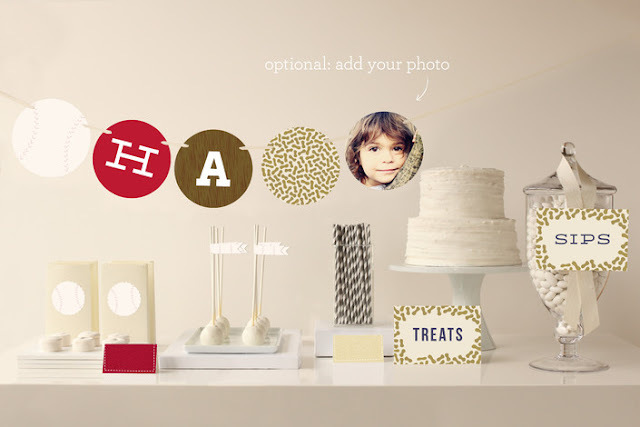 minted is so cute!!! Love their stuff, and I'm sure Finn's party will be amazing!!! i have been trying to make my purchases more intentional as well.... 'trying' being the main word there ;) that animal world map needs to be in my future kid's room. Can't wait to see the party pictures - have so much fun!!! LOVE MINTED! I could spend $150 a month; I swear! So, so cute! I had no idea they had so many products! His party is going to be adorable! I absolutely love the Fiesta idea! It’s going to be a great birthday and I can’t wait to see it all. I have tried to convince Mason to do the “camping/campout” theme for the last two years, but he wasn’t intereste. I think it’s so cute! Minted is awesome. I think the Fiesta will be so much fun! I can't wait to see it all come together. Happy almost FIRST Birthday to your sweet Finn. My BIL shares the same birthday with Finn! I think its the perfect day to indulge in nachoes and margaritas but maybe that doesnt mix well with Baby's First? ;) I cant wait to see what fun stuff you have planned! DYING to see Finn's party details! It's going to be amazing! Whoo hoo! Just entered! I love Minted and am throwing a baby shower for my Sis in law at the end of the end of the month so this would be perfect! Can't wait to see Finn's party! Love Minted! They're party sets are so perfect! I love how pulled together they make it all look and it doesn't have that party store vibe. Hooray for Finn's Fiesta! !